Police are searching for a Massport truck that was stolen outside a terminal at Logan Airport. 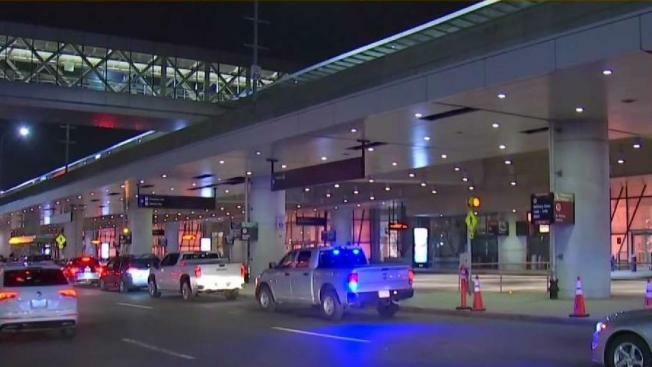 A Massachusetts Port Authority truck that was stolen Wednesday night from Logan International Airport has been recovered, according to officials. Massport says the truck was stolen from the curb at Terminal E around 8:30 p.m., a busy time for the international terminal. The theft happened when an employee had pulled the Ford F-350 over with the engine running. Massport says the worker was picking up trash outside the building when someone got into the truck and drove away. State police are investigating the theft and are searching for the suspect.